Are 105 more F-35s Japan's best option? NEW YORK - This week’s news that the Cabinet of Prime Minister Shinzo Abe approved the procurement of an additional 63 F-35A and 42 F-35B short take-off and vertical landing (STOVL) fifth-generation Lightning II stealth fighter jets has made international headlines. 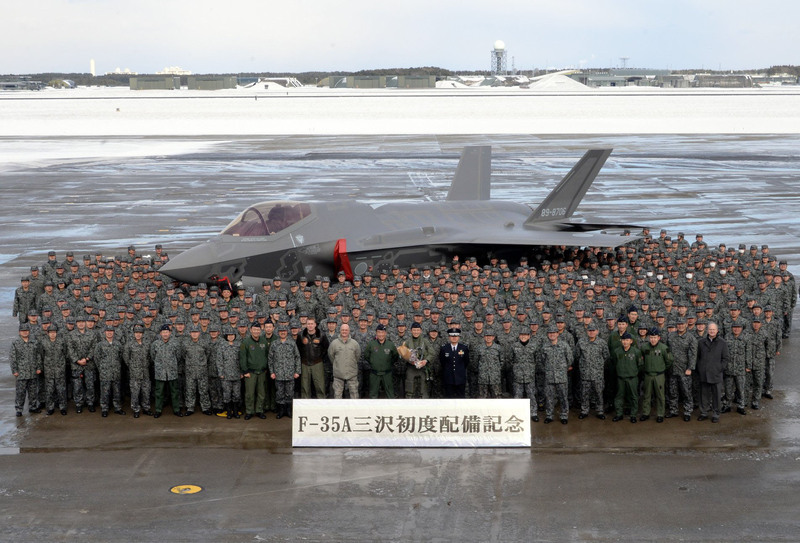 Japan is now slated to become the world’s second-largest operators of the F-35 following the United States. The core of the ASDF’s peacetime mission is to conduct scrambles, while in wartime it is to guarantee air superiority. Yet, while useful and effective at both tasks, the F-35A is far from an ideal candidate for either mission. (Side note: I am not going to discuss the F-35B, including its role in naval warfare, in this short piece.) In short, the F-35A will be too expensive to operate for scrambles and has not been designed as an air superiority platform. As such, it may prove more of a burden than a blessing for long-term defense procurement planning in Japan. First, the new F-35As are expected to replace the ASDF’s remaining F-4EJ/RF-4 Phantom II and about 100 F-15J/DJ Eagles. Both types of aircraft, along with the F-2 multirole fighter jet, a Mitsubishi license-produced variant of Lockheed Martin’s F-16, are used for scramble missions. Using the F-35A for these missions will significantly increase costs for each hour of flight — an important consideration for the relatively cash-strapped ASDF. Furthermore, as ASDF Col. Masataka Oguro points out in a recent study, using the F-35A for scramble missions could allow China and Russia to collect signal intelligence on the aircraft in order to refine their own air warfare capabilities. Second, the F-35A, a single-engine jet with a radar cross section reportedly 10 times bigger than that of the F-22 Raptor and armed with an inadequate number of air-to-air missiles, simply lacks air-to-air combat capabilities in comparison to future Chinese and Russian air superiority fighters. Notably the aircraft was primarily designed as a multipurpose data integration platform with some air combat capability, but it was never intended to be deployed for air superiority missions. Indeed, Japanese military planners see the F-35A principally as an air-to-ground and naval strike platform. Furthermore, as I have repeatedly pointed out, the F-35A has always seen as a stopgap measure by the Defense Ministry to bridge a shortage of fighter aircraft, as older ASDF airframes — the F-2 and F-15DJ/F-15J Kai — will slowly be phased out in the coming years, until the introduction of a next-generation fighter in the 2030s. Japan was originally interested in procuring Lockheed Martin’s F-22 Raptor, but the U.S. government refused to grant an export license. Consequently, the procurement of F-35As makes most sense if it is followed up by the introduction of a new next-generation aircraft in the near future. To that, Japan unveiled an experimental fifth-generation fighter technology demonstrator, dubbed X-2 Shinshin (formerly the ATD-X), which is intended to serve as the basis for the ASDF’s so-called (F-3) Future Fighter Program, in 2016. However, Japan scrapped further development of the aircraft in 2018 over budgetary concerns and a lack of capacity in Japan’s domestic aircraft industry. Interestingly, however, Lockheed Martin has recently proposed selling a hybrid variant of the F-22 and F-35 to Japan, which could incorporate elements of the ATD-X prototype. Indeed, the F-35A follow-up order could perhaps be part of a Japanese long-term effort to convince Lockheed Martin and the U.S. government to share fifth-generation aircraft technology with Japan’s defense industry. The Japanese government has also reiterated earlier this year that it intends to proceed with the procurement of up to 100 new fifth-generation air superiority fighters at an estimated cost of $50 billion by the 2030s. 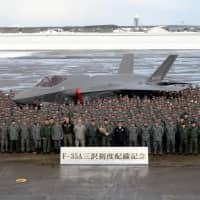 Given ongoing budgetary challenges, however, paired with the political reality that Japan is unlikely to exceed the traditional 1 percent ceiling of GDP spending on defense in the future — unless confronted by a severe national security crisis — this week’s announcement will likely have sounded at least the temporary death knell for the next-generation fighter aircraft project. Japan simply will not have the resources to pursue both projects, next to other large ticket programs such as the acquisition of two Aegis Ashore batteries. Franz-Stefan Gady is a senior editor with The Diplomat. © 2018, The Diplomat; distributed by Tribune Content Agency.